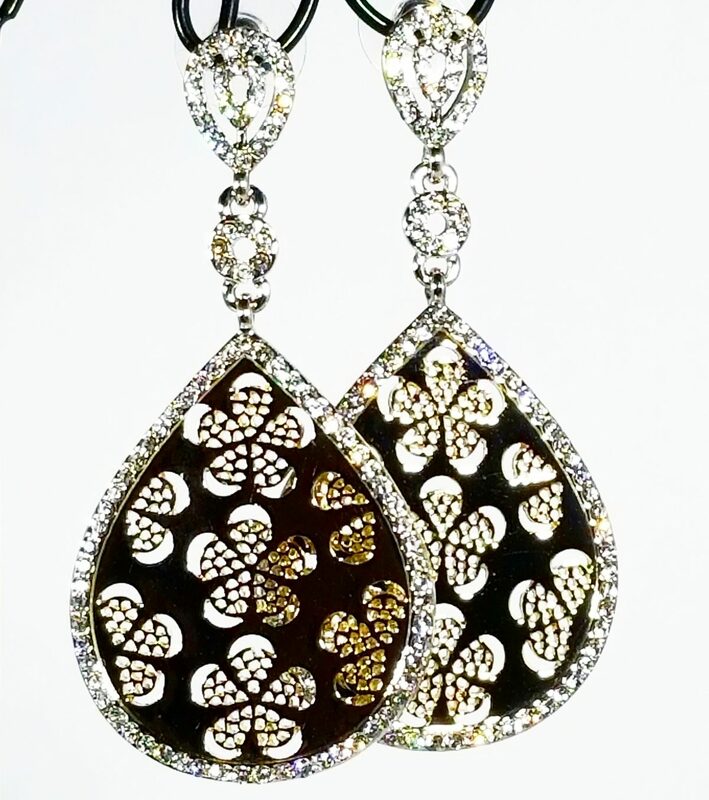 Earrings – Trends for Spring at LeilaBox! 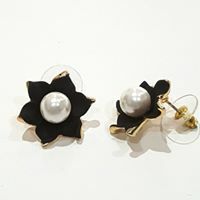 Spring 2019 fashion is feminine yet bold with a whimsical sense of style – especially for earrings. Pantone says, “The color story is wildly divergent and we see a kaleidoscopic bounty of uplifting shades and feel-good tones.” Color evokes emotion and drives style on a personal level. 2019 Color of the Year Living Coral is a vibrant and mellow tone, and we see it in lots of jewelry, especially earrings. 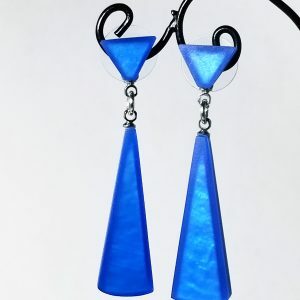 No matter if it’s the beauty of Spring color, or lack thereof, Spring 2019 Earrings Trends are interchangeable. 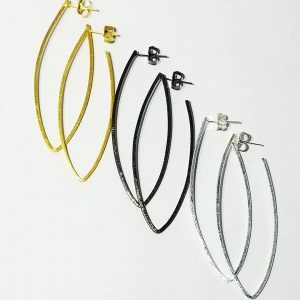 We see that the hottest earring styles are also intertwined in their style and focus. No need to think about the classic Hoop but think about the modern shape and texture. 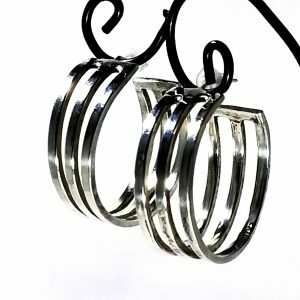 The traditional hoop is elevated with multi layers or enlarged in size. Even by simply using its uniqueness while incorporating resin with a solid color or multicolored finish, the Hoop is top on everyone’s list this spring. 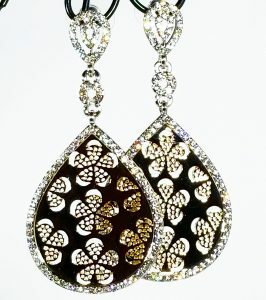 It is elegant and fashion forward. Unique in its approach, the hoop has incorporated so many of the earrings trends this spring: florals – a hoop of flowers, Resin – clear, color or multi-color and Mixed Metals – two different tones, colors and textures. 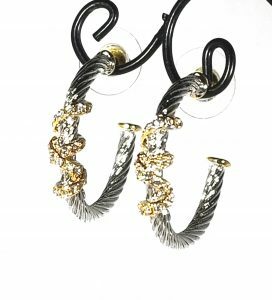 The hoop is without a doubt your versatile earring this spring. Feminine Florals: no matter the size they are, they’re a must-have trend. Fresh flowers are all about spring. From the Tulips that are defining the beginning of spring to the Daisy, Daffodils and Primrose, flowers inspire us every spring. 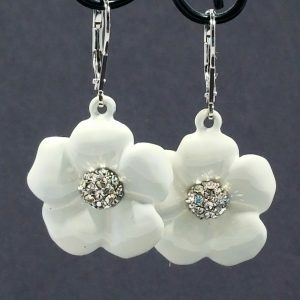 Now with the beauty of the fashion florals entering our fashion jewelry world, we can carry the inspiration of florals with us all season in different colors, sizes and textures. Brides have long since understood how important flowers are to their special day, now we have the style to carry these inspirational pieces with us every day. There is no better way to articulate color and shape than with a polymer. Lucite can carry colorless transparency and create a clear, shiny statement piece. On the other hand, Resin can create a multi-dimensional tone and texture by mixing color for a beautiful effect. 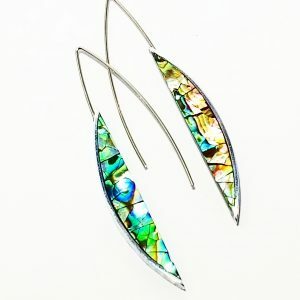 There are many different types of resins, but each have a unique way of creating the latest fashion accessories shape, color and style for earrings in beautiful colors and tones for the season. 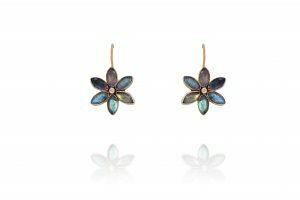 Your LeilaBox will have lots of these beautiful spring colors and shapes for spring in your earrings styles – try them all!